For years this is how I have had my SS setup to sequence my 3 circles. Now, when trying to Apply a Superstar Effect in S5 SE, I am limited to 64 pixels. Sorry about that, this is a really bad bug that I introduced in a recent release. 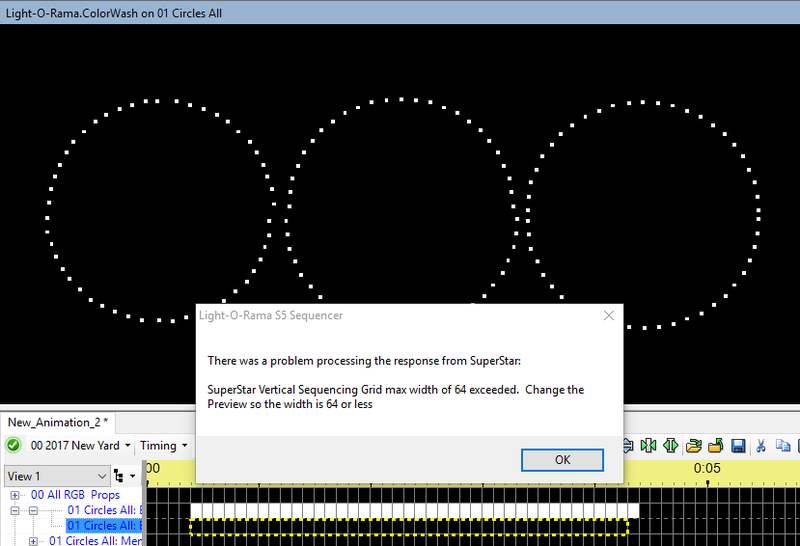 The bug is in the error checking that is done when superstar is launched by the S5 sequencer. And the bug happens with most previews that superstar sees as being horizontal. The error checking code thinks there is a problem but there is not. The bug has been fixed in the next release. It's all good Brian. I didn't know if you were aware of it.